Guizhou, a province caped with subtropical mists, is one of the most biodiverse provinces in southwestern China, home to a rich landscape of flora and fauna. 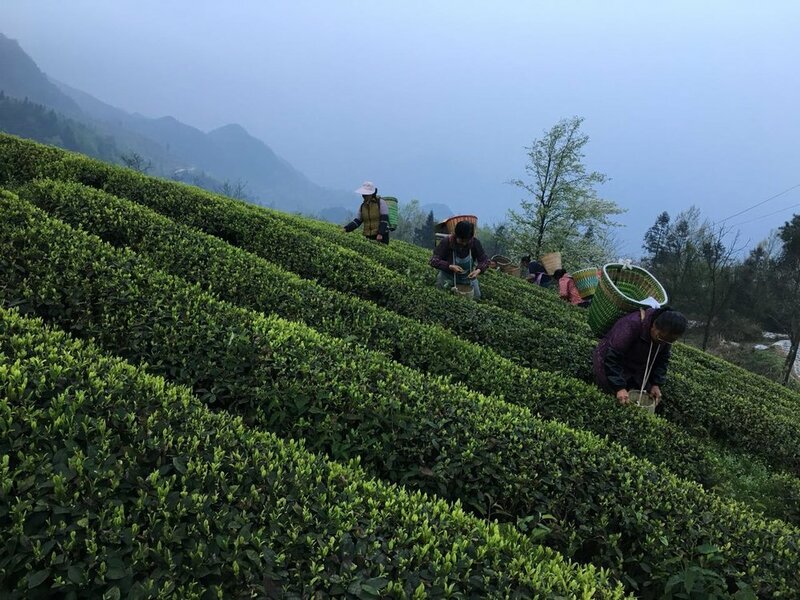 Plucked from the Yunnan-Guizhou plateau, Morning Mist is a humble homage to Fujian-style teas, named for the altitude’s gentle shroud on the leaves. Reflecting its pan-fired processing, the aroma of the leaves evoke winter melon and watercress. Subtly sweet, lightly vegetal, and extremely forgiving, this tea can be enjoyed with any style brew, even sipped “old-granddad” style with the leaves directly in your cup. Notes of alfalfa honey, sweet corn, and white pepper.